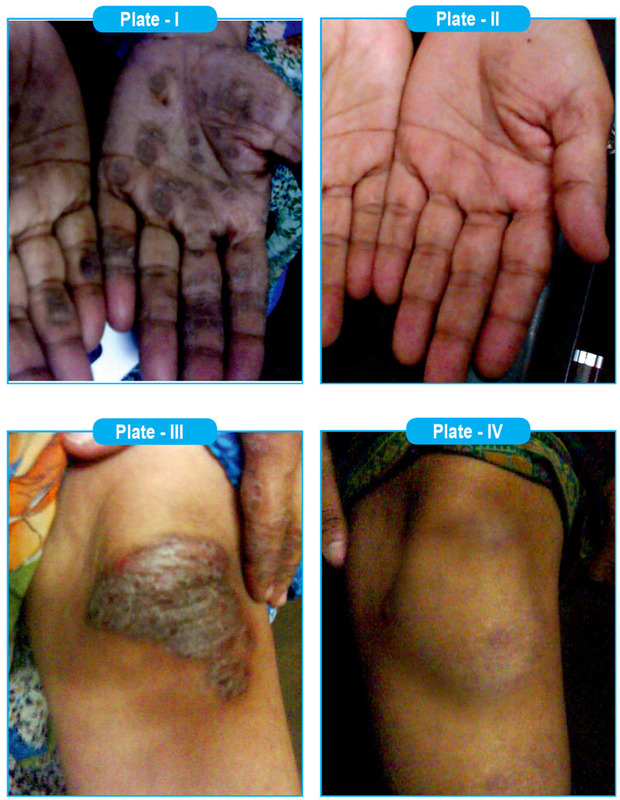 A forty five years old female came with psoriatic eruptions on left knee and both hand since 5 years. She has Itching < Night+++, cold weather++, AC room; Itching better in summer. 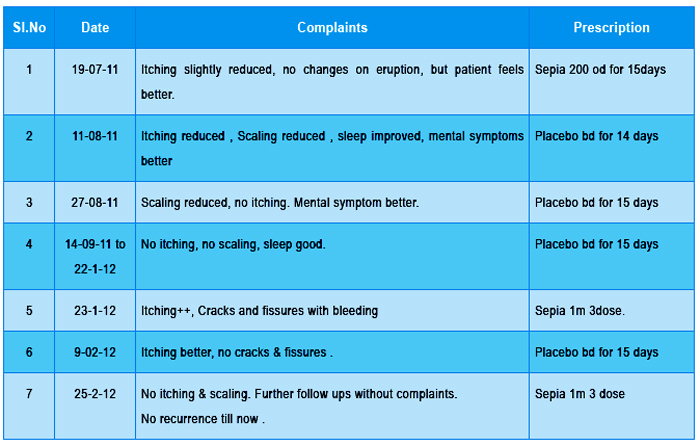 Patient took allopathic treatment but not improved completely. Known Hypertensive since 7yrs; under allopathic medication. H/o. recurrent wheezing & cold. She was very much depressed, longing for love & affection from husband. Crying while telling symptom, fears about future & her disease. Consolation aggravating her symptoms. Psoriatic eruptions in left knee and both hand, whitish scaling on affected places. • Depressed, fears to be alone.